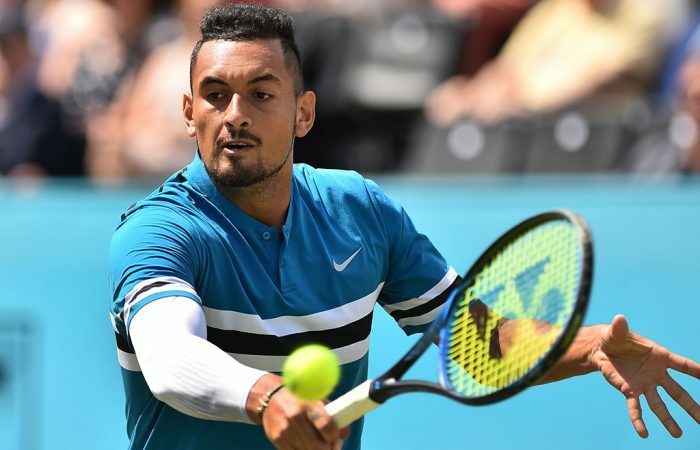 Nick Kyrgios carries on at Queen's, Matt Ebden upsets Philipp Kohlschreiber to reach the last eight in Halle and Ajla Tomljanovic joins Sam Stosur in the Mallorca quarters. Nick Kyrgios ousted another local favourite at the Queen’s Club in London to take his place in the quarterfinals. On Thursday, Kyrgios took down Kyle Edmund at the prestigious Wimbledon grass-court tune-up, winning 7-6(3) 6-7(5) 6-3. 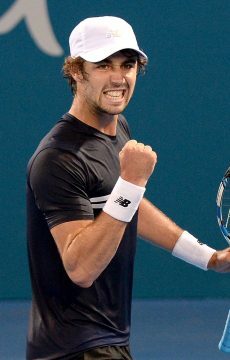 Encouragingly, the Australian showed fewer signs of the hip complaint that hampered him in a three-set win over Andy Murray on Tuesday. Kyrgios slammed 32 aces during the two-hour 11-minute win, reducing Edmund at times to the role of a spectator down the other end of the court. “I have (served better than that), a couple of times,” Kyrgios smiled. “But I served really really well, found my rhythm quite early. Then again, he was serving really well today, I was struggling to read his serve. It was a high quality match. “I haven’t played too many matches the last couple of months so obviosuly serving for a match of this value is not easy. I’m just happy to get through. Next up for Kyrgios is a quarterfinal date with defending champion Feliciano Lopez, scheduled second on Centre Court on Friday. Yet he will go no further in doubles; teaming with Lleyton Hewitt, the Aussie wildcard pairing fell in the quarterfinals to British duo Edmund and Neal Skupski 6-1 6-4. 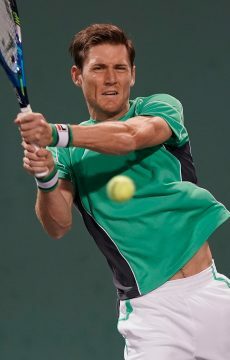 Matt Ebden, meanwhile, also moved into the quarterfinals of an ATP 500 event on grass – except his success came at the Gerry Weber Open in Halle. 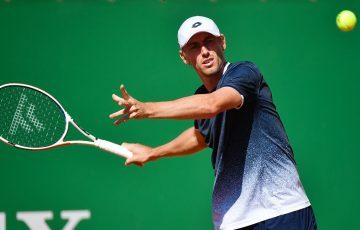 The West Australian recovered to beat No.6 seed Philipp Kohlschreiber – a winner of the Halle title in 2011 – 4-6 6-1 6-2 on the tournament’s stadium court. Ebden has won 10 of his past 12 grass-court matches (having reached the semifinals at both the Surbiton Challenger and the ‘s-Hertogenbosch ATP event) and is projected to rise to world No.51 with his latest success. But the going gets tougher in the last eight; he takes on world No.1 Roger Federer, who remains on track for an incredible 10th Halle title after saving match points to beat Benoit Paire later on Thursday. Federer and Ebden will clash in the second match of the day on Friday’s stadium court schedule. 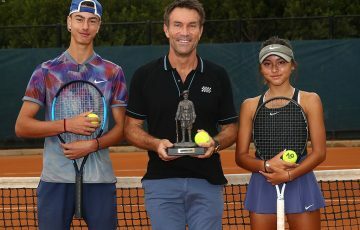 Australia has two women in the Mallorca Open quarterfinals after Ajla Tomljanovic notched another win at the Spanish grass-court event on Thursday. A day after Sam Stosur advanced to the quarters with a straight-sets win over Lara Arruabarrena, Tomljanovic needed just 72 minutes to dismiss qualifier Rebecca Peterson of Sweden 6-3 6-3. 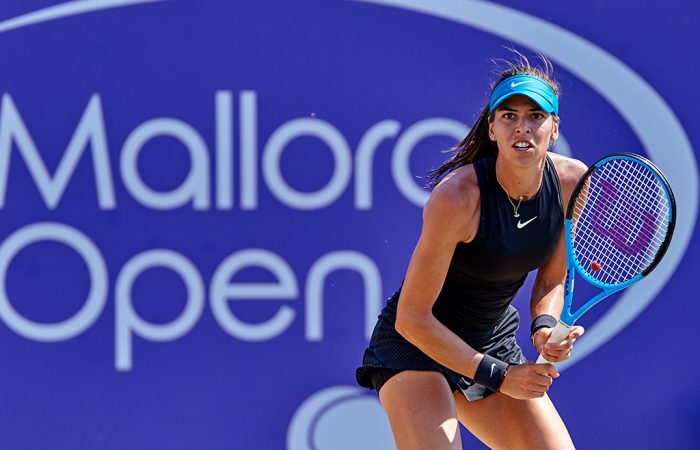 Tomljanovic, who came through qualifying herself, has now won four straight matches in Mallorca. She will attempt to make it five straight when she faces third seed and defending champion Anastasia Sevastova on Friday. Following Tomljanovic onto centre court will be Stosur, who plays her first grass-court quarterfinal in seven years against qualifier Alison Riske. 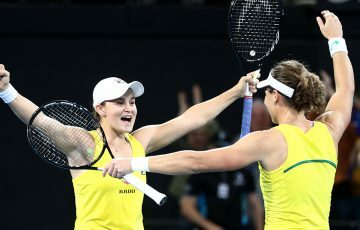 Ash Barty and Daria Gavrilova were unable to replicate the winning feats of their compatriots, with both going down in straight sets on the Edgbaston Priory Club grass. Gavrilova was unlucky to run into defending champion Petra Kvitova, a two-time Wimbledon winner who brushed the Aussie aside 6-2 6-2. Kvitova will go on to face Julia Goerges, who beat Barty 7-6(6) 6-3 later on Thursday. 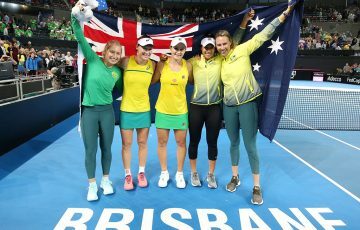 Barty reached the final in Birmingham last year (falling to Kvitova in three) and was riding a six-match winning streak on grass after claiming the WTA title in Nottingham. Yet she found the fifth-seeded German – who finished the match with 12 aces – a tough prospect in the second round. 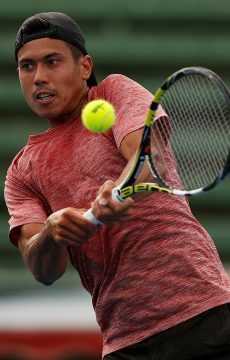 At the ATP Challenger tournament in Ilkley, Jason Kubler joined fellow Aussie Jordan Thompson in the last eight with a three-set win over Noah Rubin. 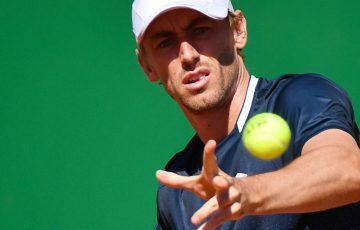 Kubler is primarily known for his comfort on clay and was facing a former Wimbledon junion champion, but that didn’t stop the 25-year-old flourishing in a 6-1 3-6 6-4 win. The victory sets up a last-eight meeting with Canada’s Peter Polansky, scheduled first up on Friday. Thompson, the tournament’s top seed, will later in the day take on Sergiy Stakhovsky for a place in the semifinals. Another Aussie, Arina Rodionova, fell in the second round of the Ilkley women’s event to Papua New Guinea’s Abigail Tere-Apisah, losing 6-2 6-3.